Acclaimed alt-folk quartet from Boston, Darlingside, will perform at The Rialto Theatre in Bozeman on March 12th in support of their celebrated album Extralife (More Doug Records/Thirty Tigers). Lyrically and musically, Darlingside moves forward on their latest effort, as they create an ambient, dreamlike atmosphere with their seamless vocals and masterful instrumentation. It’s over now / The flag is sunk / The world has flattened out, are the first words of Extralife, the new album Darlingside. While the band’s critically acclaimed 2015 release Birds Say was steeped in nostalgia and the conviction of youth, Extralife grapples with dystopian realities and uncertain futures. Whether ambling down a sidewalk during the apocalypse or getting stuck in a video game for eternity, the band asks, sometimes cynically, sometimes playfully: what comes next? Their erstwhile innocence is now bloodshot for the better. 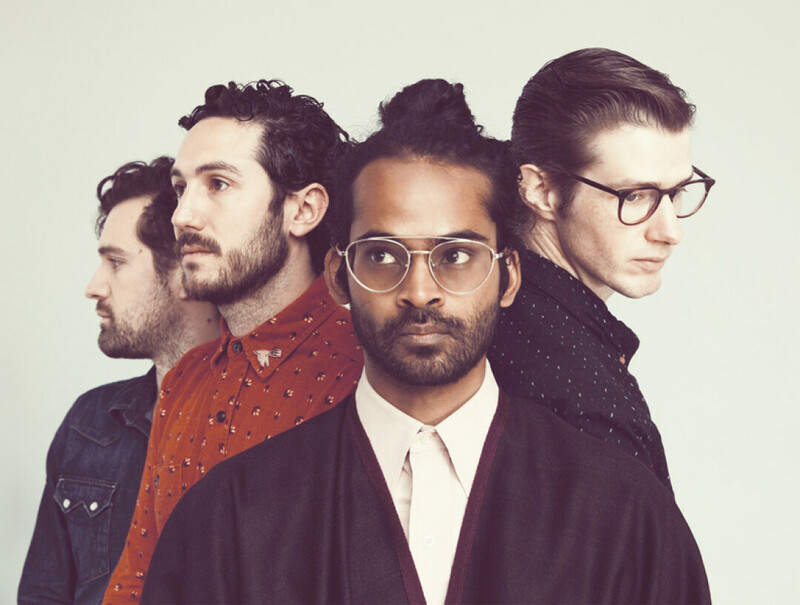 Darlingside perform all of their music around a single vocal microphone, inviting audiences into a lush, intimate world where four voices are truly one. Their 2016 performance at the Cambridge Folk Festival “earned an ecstatic reception and turned them into instant stars”, according to The Daily Telegraph.